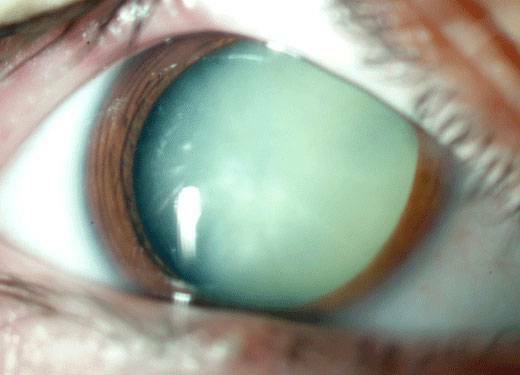 Cataract is a disease of the eye that results in the clouding of the lens of the eyeball. Cataracts prevent clear images from appearing on the eye’s retina; causing mild, moderate, even severe blurred vision. Cataract surgery is the removal of the natural lens of the eye (also called “crystalline lens”) that has become cloudy, which is referred to as a cataract. Changes of the crystalline lens fibers over time lead to the development of the cataract and loss of transparency, causing impairment or loss of vision. During cataract surgery, the surgeon will remove your clouded lens. At Regional Eye Center, we use the newest technique of using ultrasound (called Phaco-emulsification) which requires a very small incision. Most of the time, stitches are not even required! Following surgical removal of the natural lens, an artificial intraocular lens implant (IOL) is inserted (eye surgeons say that the lens is “implanted”). This IOL replaces your natural lens that had become cloudy. New IOLs are being developed all the time to make the surgery less complicated for surgeons and the lenses more helpful to patients. At Regional Eye Center, Dr. Tu uses the newest implants (called accommodating IOLs) which allow you to see both at distance (for driving) and near (for reading). This will greatly decrease your need for glasses (even reading glasses). Not everyone can qualify for this new implant; so, please ask your eye doctors about the new Crystalens. If you need cataracts removed from both eyes, surgery usually will be done on only one eye at a time. An uncomplicated surgical procedure lasts only about 20 minutes. However, you may be in the outpatient facility for 90 minutes or longer because extra time will be needed for preparation and recovery. Cataract surgery is generally performed in an ambulatory (rather than inpatient) setting, in a surgical center or hospital, using local anesthesia (either topical, peribulbar, or retrobulbar), usually causing little or no discomfort to the patient. Well over 90% of operations are successful in restoring useful vision, with a low complication rate. Day care, high volume, minimally invasive, small incision phacoemulsification with quick post-op recovery has become the standard of care in cataract surgery all over the world. Watch a video about the causes, symptoms and treatment options for cataracts.